In the late '70s, Richie Zito was one of the most sought-after session guitarists in Los Angeles. He lent his chops to Art Garfunkel, Barbara Streisand, The Beach Boys, Donna Summer, Diana Ross, Tina Turner, Kenny Rogers and Lionel Richie to name a few. At the start of the '80s, Zito hooked up with Elton John, and became a member of his band. Soon after, in addition to playing guitar on the Soundtracks for FLASHDANCE, TOP GUN, SCARFACE and BEVERLY HILLS COP, he began producing and writing for the Motels, and boasts an exhaustive resumé including the Cult, White Lion, Open Skyz, Mr. Big, Tyketto, Joe Cocker’s “You Can Leave Your Hat On”, Eddie Money’s (Grammy Nominated) duet with Ronnie Spector, “Take Me Home Tonight”, Heart’s Triple Platinum “Brigade” CD and Bad English’s #1 Record “When I See You Smile”. Zito's panoramic and cosmic production on Cheap Trick's “Lap of Luxury” brought another dimension to rock records. “Lap of Luxury” also shot the band back into the public consciousness and delivered Trick's only number one, "The Flame." Zito's technical skill and superb musicianship is unquestionable. Like his guru Giorgio Moroder, Zito has brought out the best in some of the biggest names in the music biz. As a Record Producer, Zito has had 38 singles in Billboard’s Hot 100 and in 1990 was the Magazine’s “Top Singles Producer of the Year”. 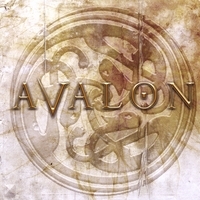 AVALON is “his” project where he gathered all the artists he had the pleasure to work with during the years, to deliver a classic AOR release and his ultimate dream album. In Zito’s words “When Serafino Perugino, Frontiers Records President, approached me to make a CD, I saw it as an opportunity to Collaborate with some of the best Singers I know….The result is… AVALON”. “AVALON - THE RICHIE ZITO PROJECT represents Re-Connection” continues Richie, ”Re-Connection with Guitar Playing, Songwriting, Producing, Melodic Rock and with some very talented Friends…” Featured on the album are Eddie Money, legendary producer Giorgio Moroder, Joe Lynn Turner, Eric Martin, Richie Kotzen, Joey Carbone, Hugo, Danny Vaughn, Philip Bardowell and Joseph Williams.